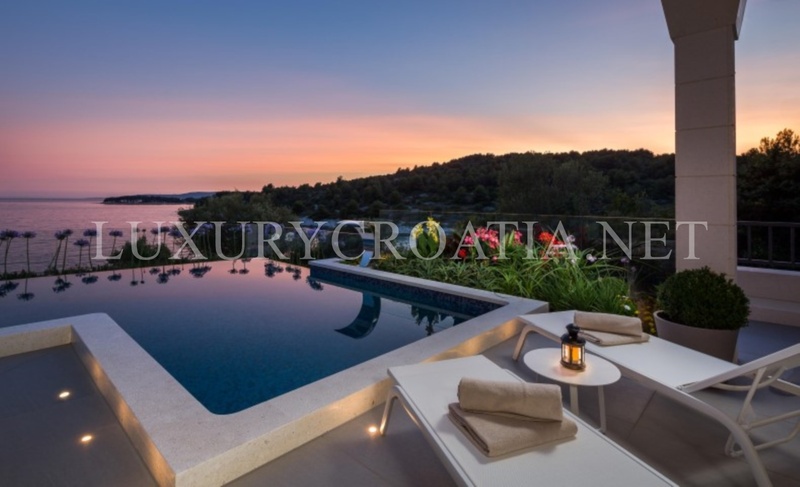 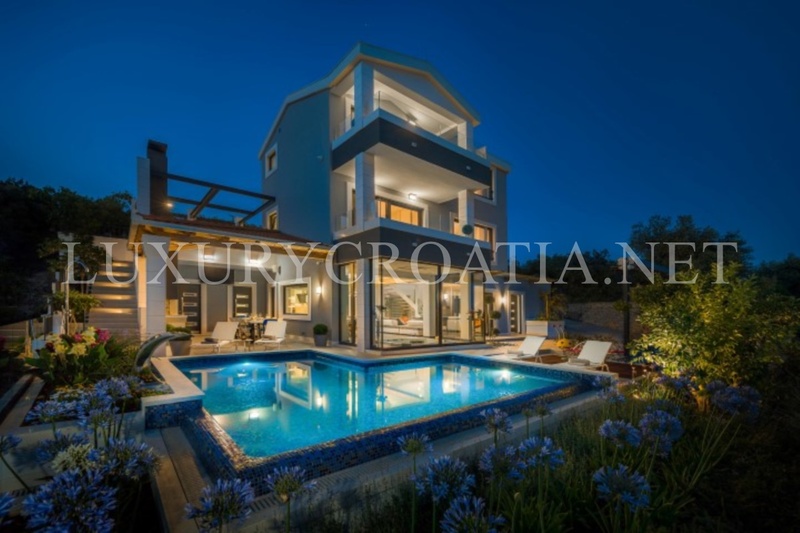 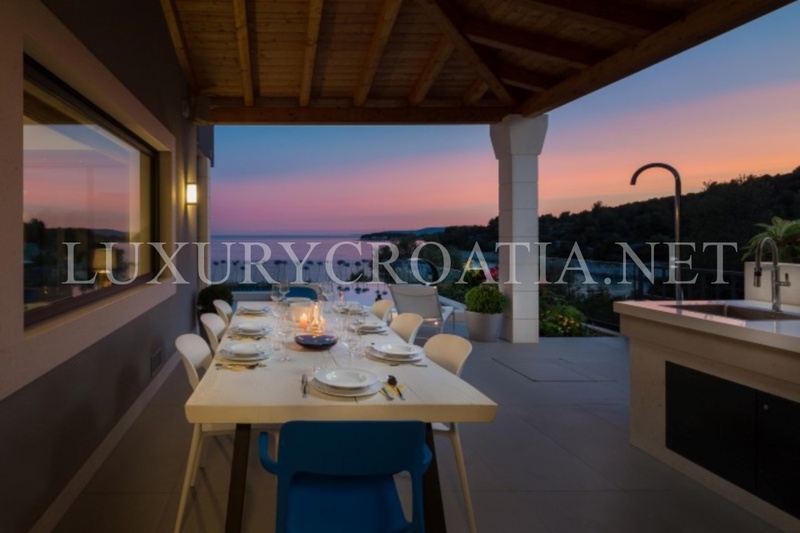 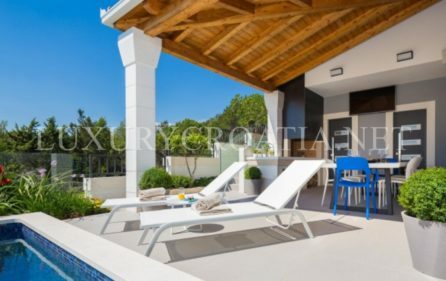 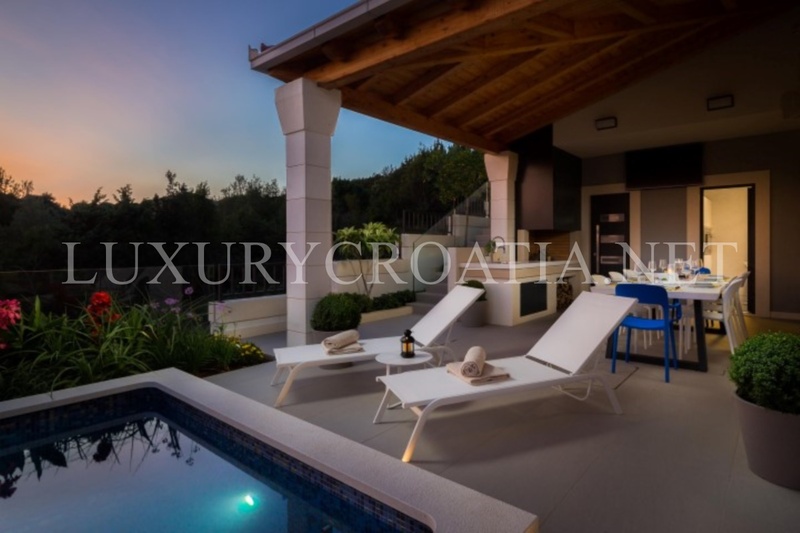 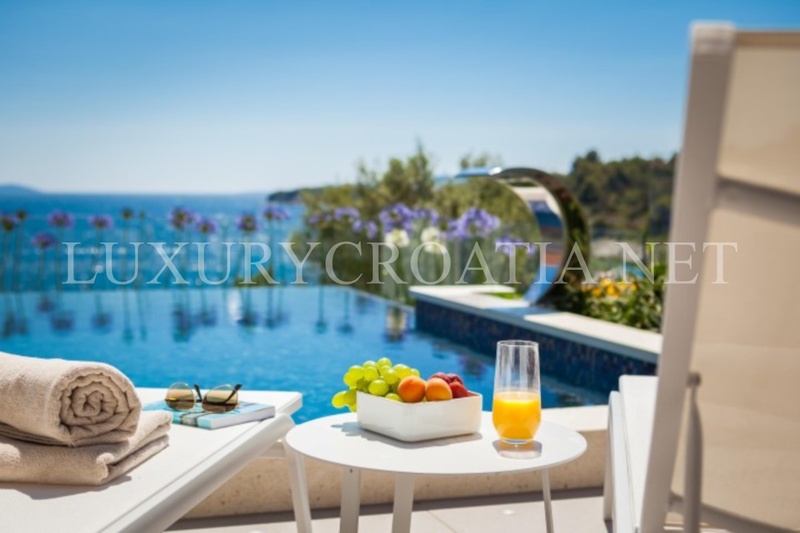 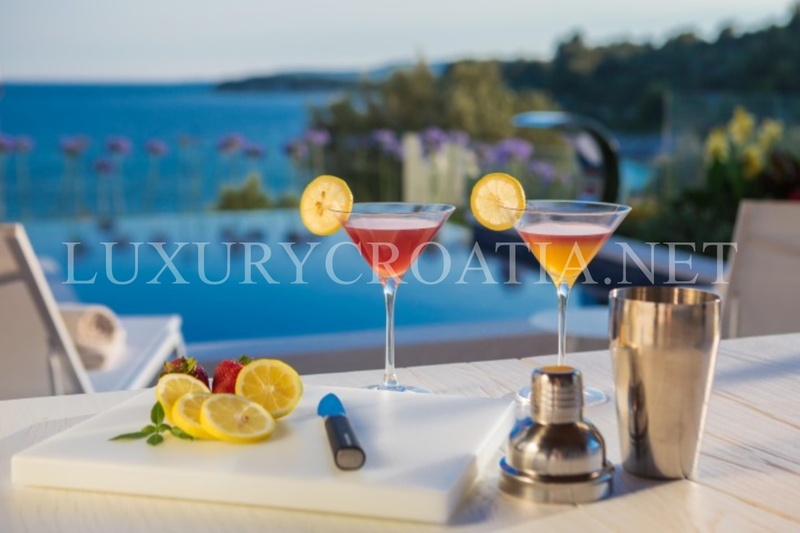 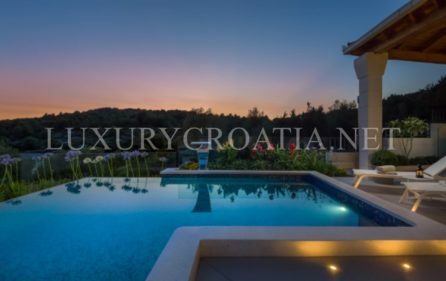 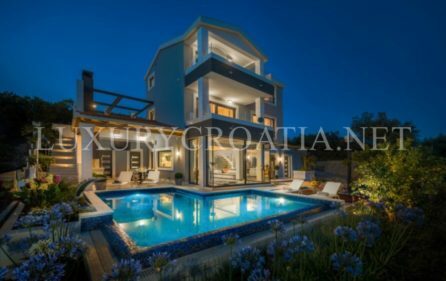 Luxury villa with infinity swimming pool, Ciovo is villa for 8 + 2 guests setting out on 383 square meters. 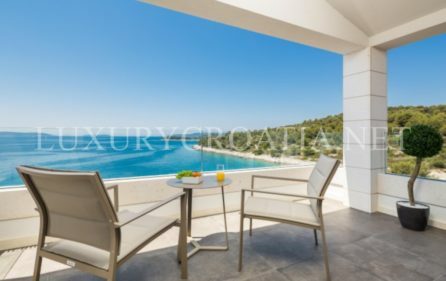 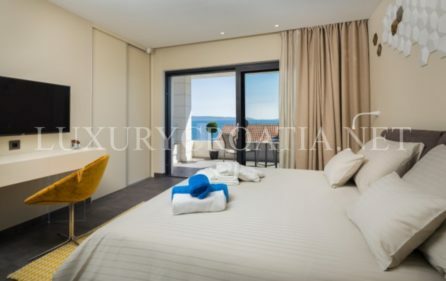 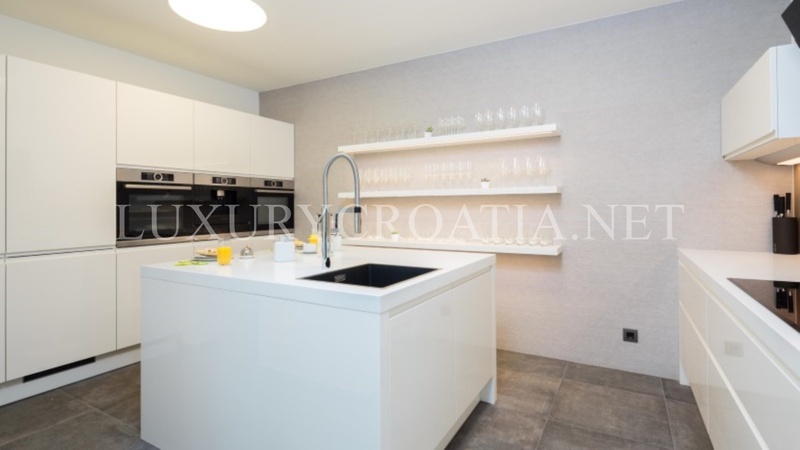 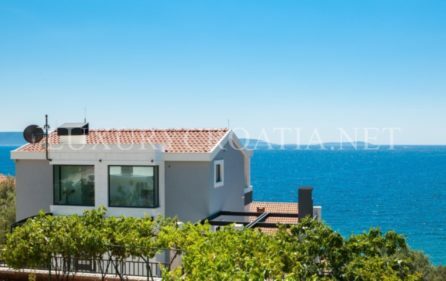 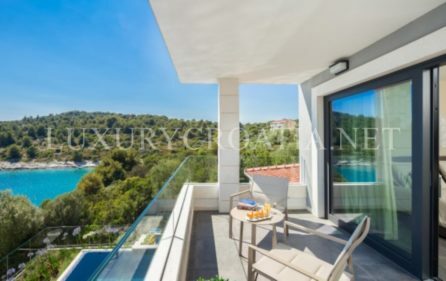 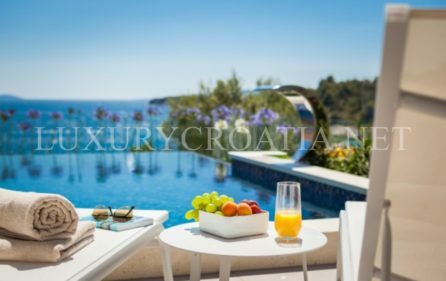 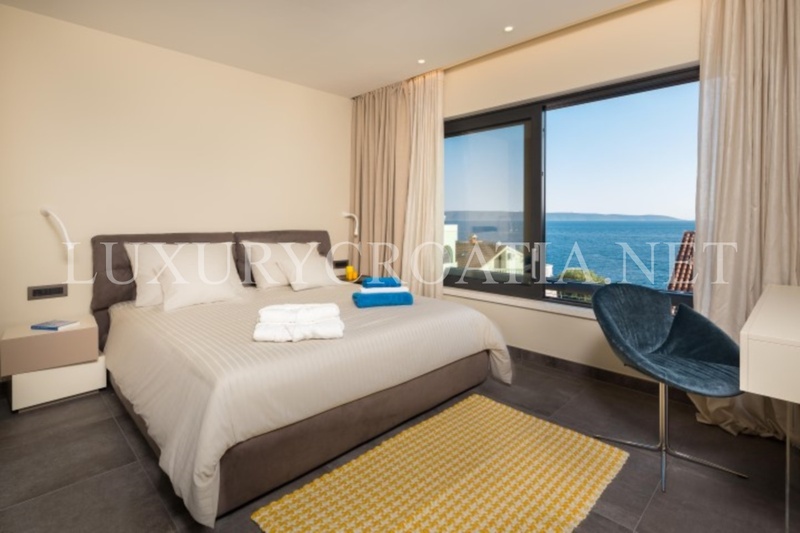 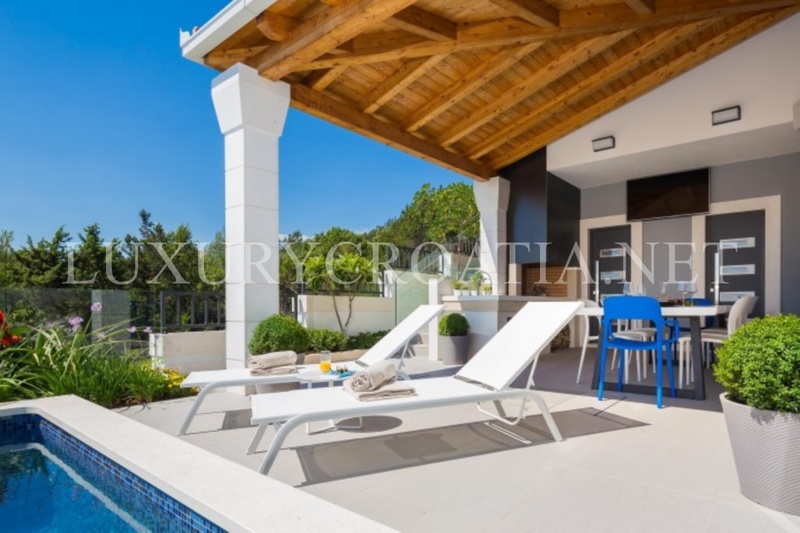 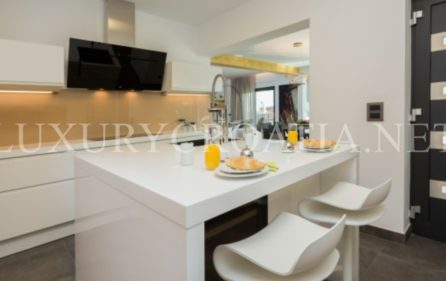 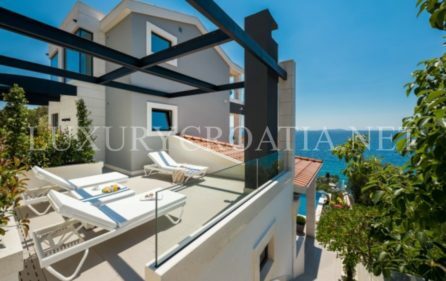 Equipped with top class materials and located around 30 meters from the sea. 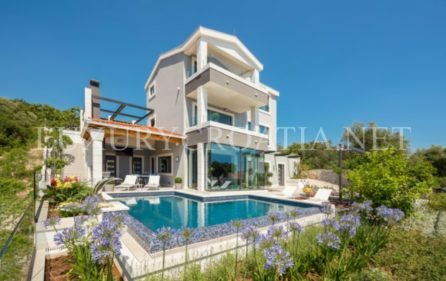 We are following trends and we are developing a highly sophisticated Hi-Tech home (SMART Home solution) with integrated management autonomy and renewable energy sources. 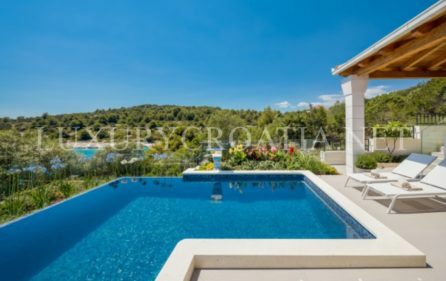 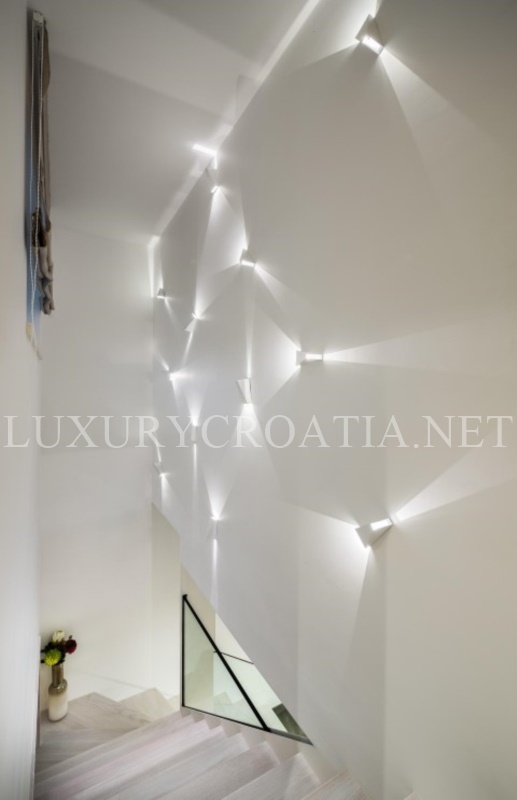 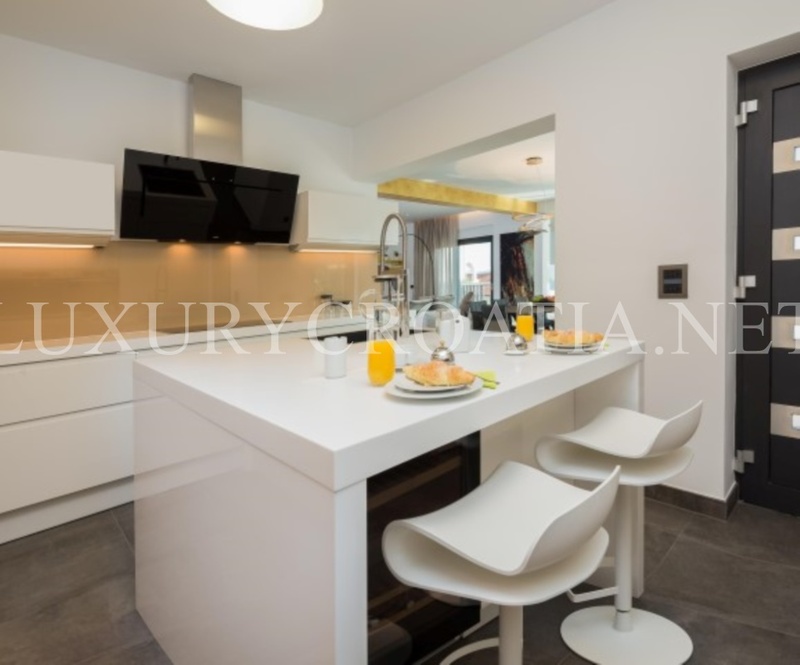 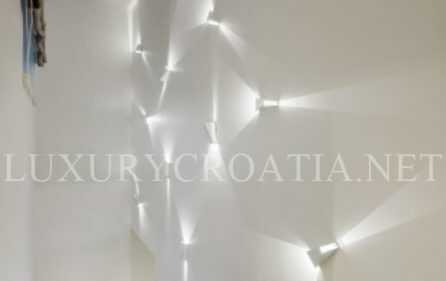 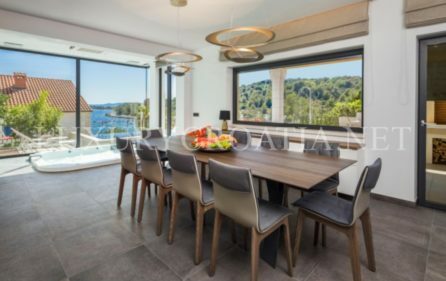 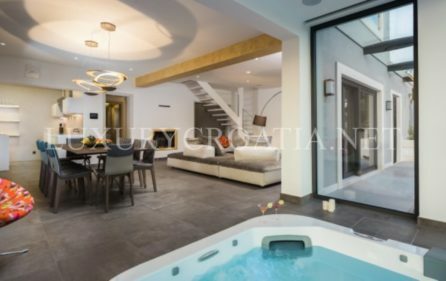 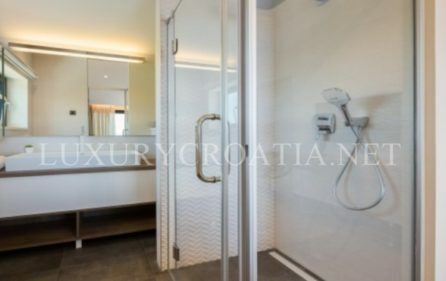 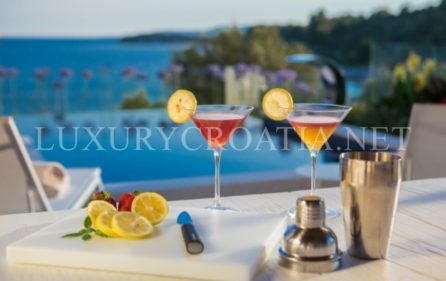 The house is equipped with an integrated HVAC system (Heating / Ventilation & Air-Conditionning) … and as such offers the possibility of a whole year stay (underfloor heating, heated pool, heated massage tub, sauna …). 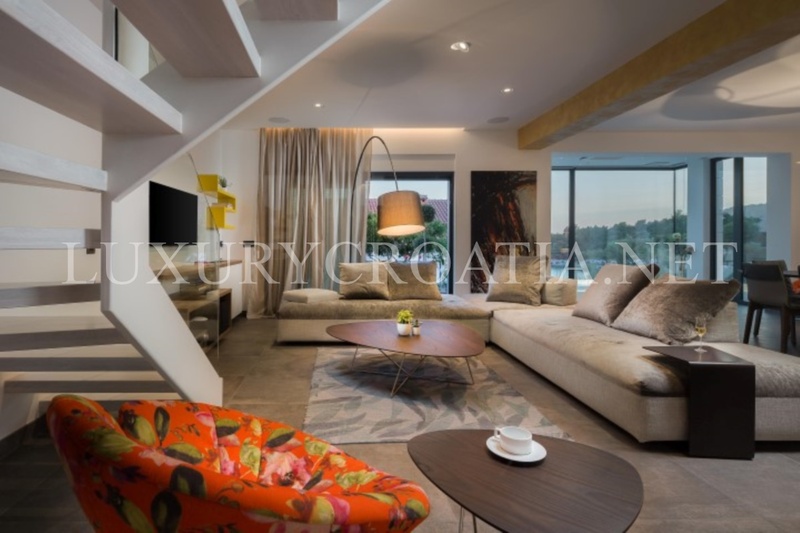 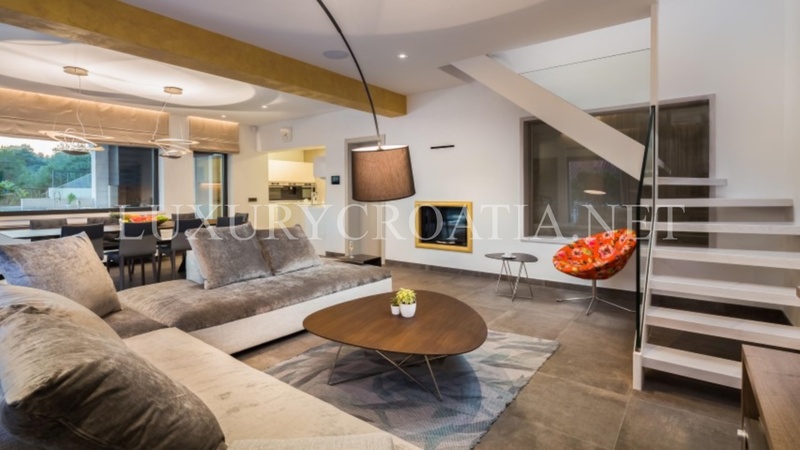 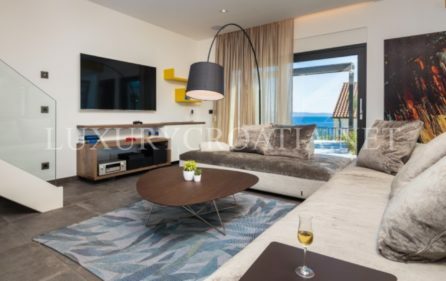 The living room has an integrated fireplace, a table for 10 and a couch that fits 10 people, along with the armchairs, SAT TV, playing console PS4 PRO, two sofa beds ( 220×120 cm). 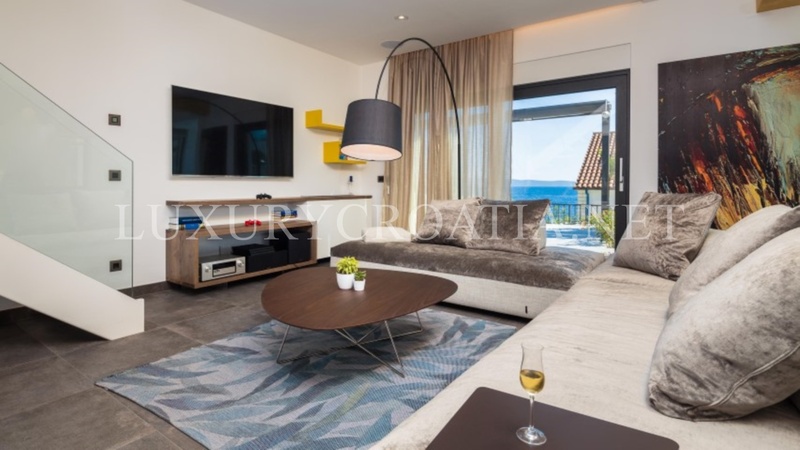 There are 4 bedrooms with en suite bathrooms, decorated with top furniture, and each with its own TV, SAT-TV, Wi-Fi.. 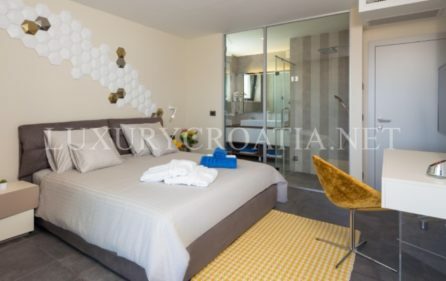 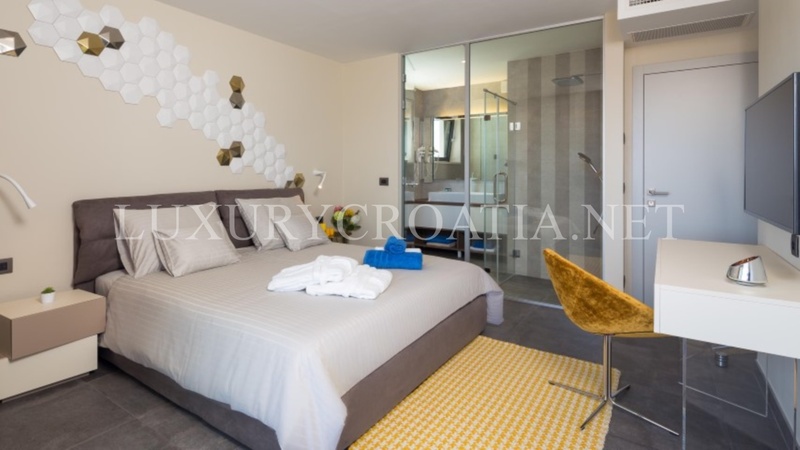 These four uniquely designed double bedrooms accommodate up to 8 guests. 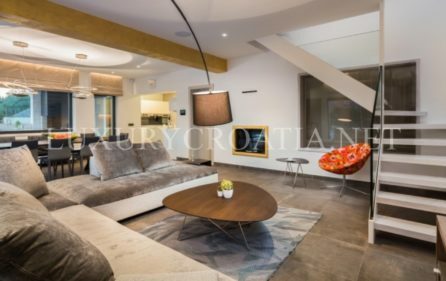 Two additional guests can be accommodated in the living room. Each room was named after one of the islands visible from the terrace of the house and designed in the spirit of the visual identity of the island it was named after. 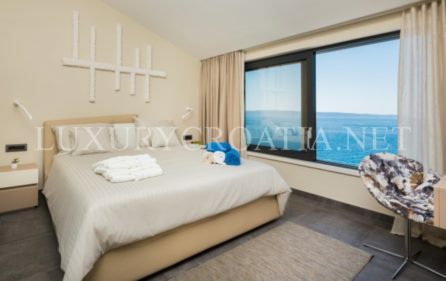 Baby cot available in bedrooms upon request. 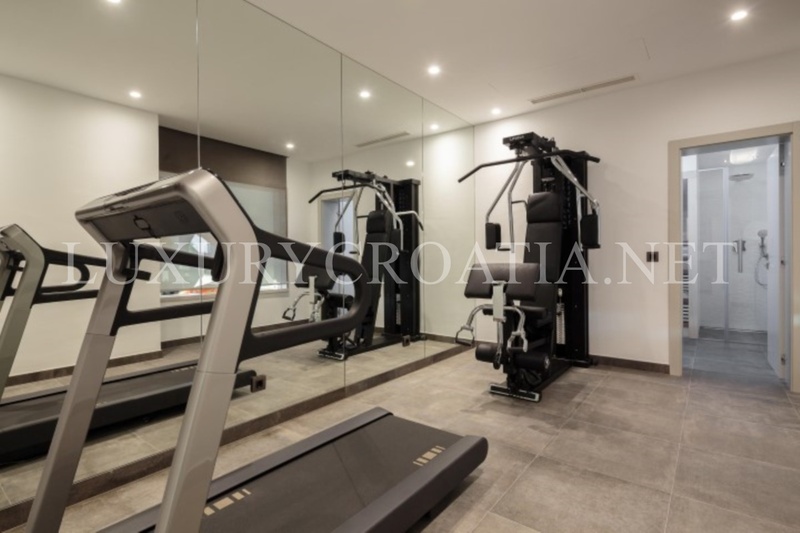 Wellness and SPA, gym equipped with Technohgym equippment. 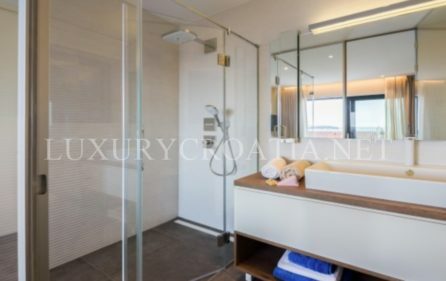 There is a massage bath and a heated Jacuzzy in the sauna. 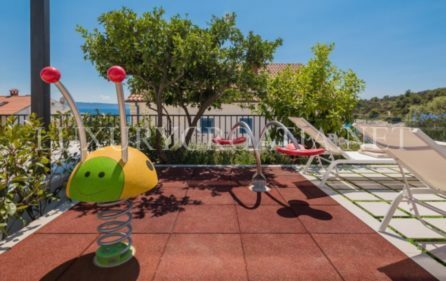 Children playground equipped with the equipment of the renowned world producer EIBE, covered with rubberized backing . 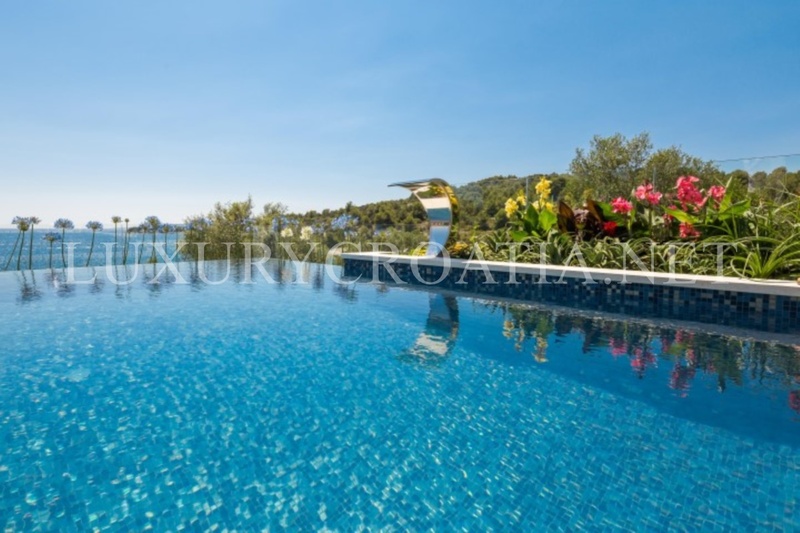 Heated infinity swimming pool, equipped with water attractions. 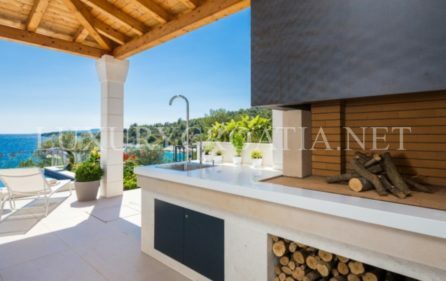 Outside are has a terrace, outside barbecue and a summer kitchen. 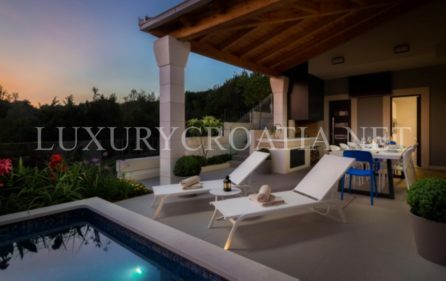 There is a TV there with SAT-TV channells, a table for 10 persons, a barbecue which is connected to the living room and kitchen from one side, and with the pool from the other. 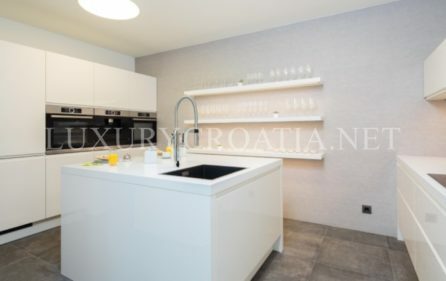 There is a fully equipped washing room.